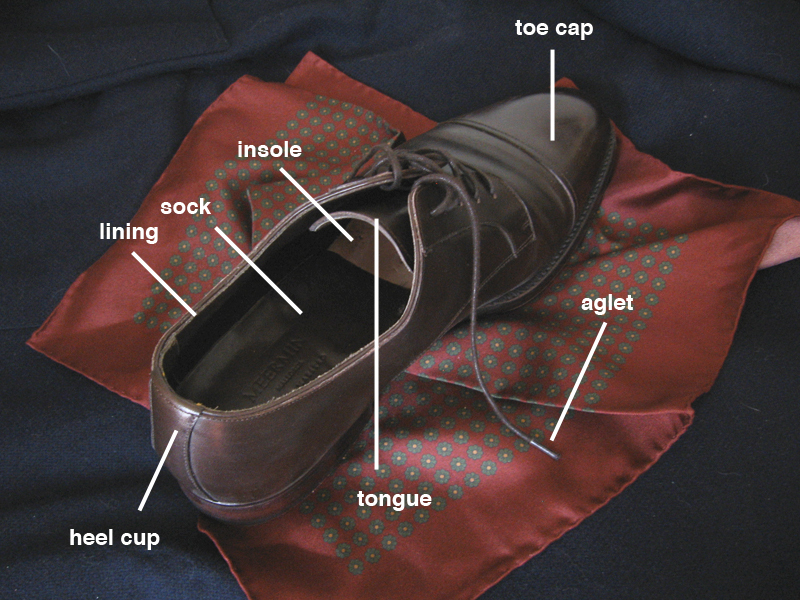 Eyelets: The holes through which you stick your shoelaces. Metal rings called grommets are usually used to support these holes. 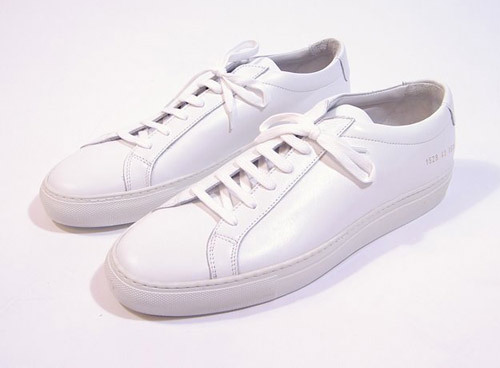 If the grommets are on the exposed side of the leather - the side that you can see - and they’re in a different color than your uppers, then they’re called agatine eyelets. 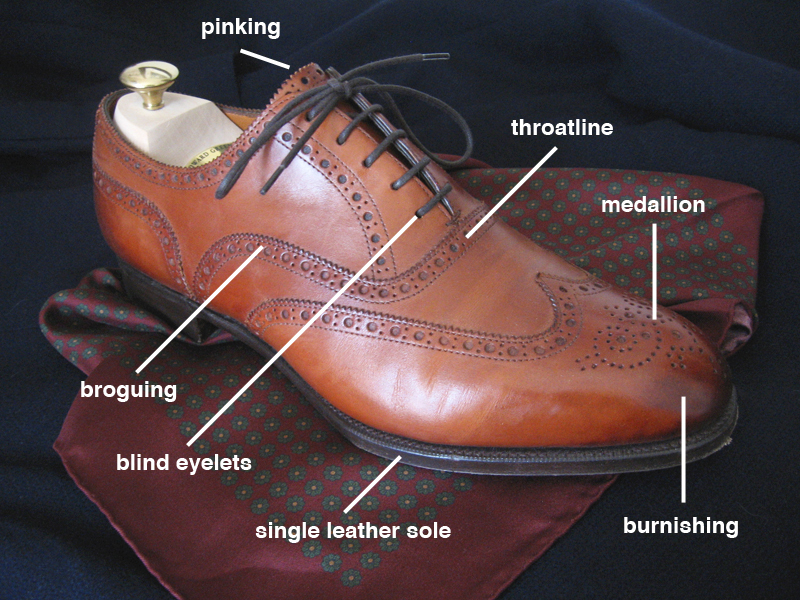 If they match your uppers, they’re called matched agatine, and if they’re on the underside of the leather, they’re called blind eyelets. Generally speaking, blind eyelets are more formal than matched agatine eyelets, which in turn are more formal than agatine. 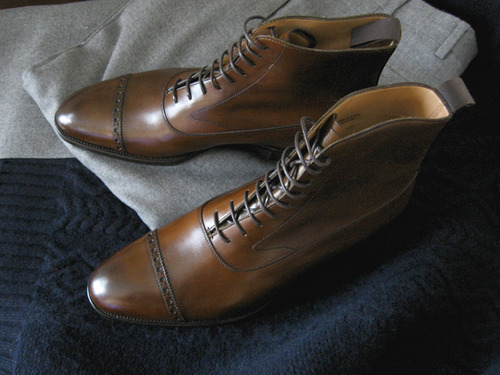 Essentially, the less visible the grommets, the more formal the shoe. 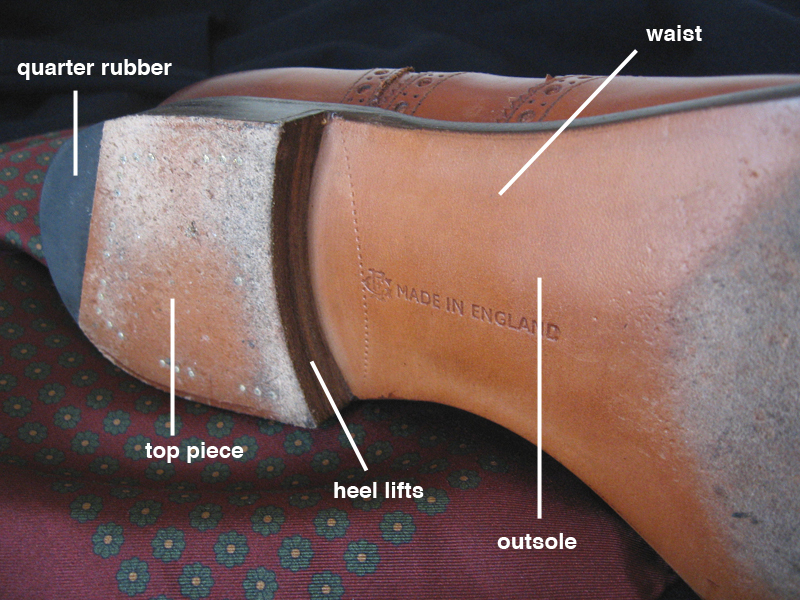 Quarter: The part of the upper that starts at about the instep and goes back towards the heel. 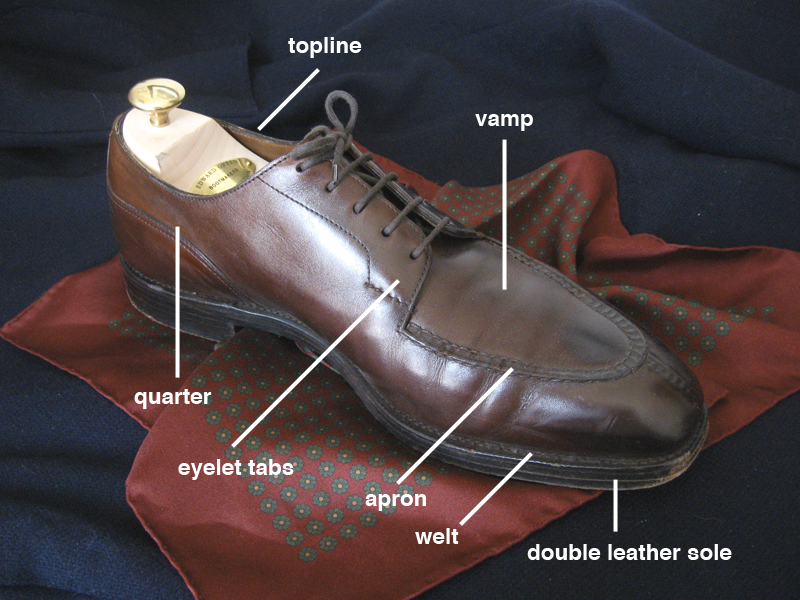 Every shoe will have two quarters - the parts that cover the inner and outer sides of the foot. All content and photos via Put This On.